Recent corporate governance failures suggest that there may be a problem with how businesses are run and how directors behave in the boardroom. The common thread that runs through these corporate fiascos is the failure of corporate governance controls. Ignorance is no excuse for bad governance. Boards need trained, independent and proactive directors to avoid this. Groupthink or rubberstamping by boards of directors can lead to corporate failures. Independent directors (and by default, non-executive directors) must be effective in the role of “a check and balance” on the management as well as the executive and non-independent directors. Director behaviours in the boardroom which border on the Abilene Paradox have also been found to contribute to poor decisions and corporate failures. The Abilene Paradox is not groupthink but is a situation where a group of people collectively decide on a course of action that is counter to the preferences of many or all of the individuals in the group. There is no legislative or regulatory reference that differentiates in the degree of care owed by executive and non-executive or independent directors. Guidelines are clear that the duty of care is owed by every director on the Board. 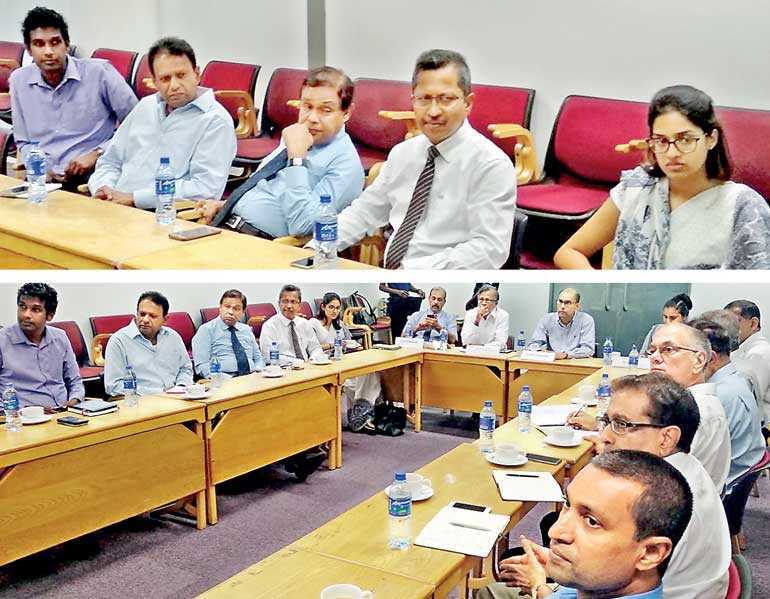 The Right to Dissent was the main topic discussed at a recent session of the Sri Lanka Institute of Directors (SLID) Independent Directors (INED) Forum at the Colombo Stock Exchange (CSE) Auditorium. The session was chaired by Faizal Salieh, SLID’s Vice Chairman, with Arittha Wikramanayake, Precedent Partner, Nithya Partner as the keynote speaker. At the outset Wikramanayake clearly stated that every director has a vote on the board and that it is the director’s duty to exercise that vote with due care and in the best interest of the company. The right to dissent comes from the Companies Act, which imposes an obligation on every director, acting in good faith and in the best interests of the company, to dissent from acting or agreeing to or endorsing the company acting in a manner that contravenes any provision of the law or the company’s Articles. A director must necessarily know the key elements of the company’s Articles and a new director should be appropriately briefed on this by the Company Secretary in the course of a formal orientation. Knowledge of the key provisions of the Companies Act covering a director’s responsibilities, duties and obligations is also a sine qua non. The right to dissent is irrefutable and the chairman should empower and facilitate the ability of an independent director to dissent when required. The CASL’s Code of Best Practice on Corporate Governance 2017 contains enabling provisions that allows a director to request the company to obtain independent professional advice when required. It also states that the Chairman should encourage directors to seek the information they need to enable comprehensive discussion of matters on the agenda and ascertain the views of all directors on issues under consideration and ensure these are recorded in the minutes, whilst ensuring a balance of power between executive and non-executive directors on the Board. Directors should know the potential civil and criminal liabilities that may arise from any failure to discharge their duties diligently. Directors must necessarily act with due care and prudence, and ensure their dissent is recorded in the minutes or, if not done there, in writing to the chairman and company secretary. Companies should conduct regular Board meetings. The CBSL specifies monthly meetings, and specifically discourages circular resolutions as they fail to capture discussion, concerns and dissenting views. Companies should enable directors to include matters in Board meeting agendas, and should provide adequate notice of meetings along with papers to be taken up then. A bad business decision carries no legal liability, criminal or civil, so long as there is no negligence on the part of the director. The dissenting director is obliged to a record of his/her view when considered necessary by him/her and must do so when a law or regulation would be breached. Bank directors sign an affidavit confirming they are fit and proper to be directors. This assertion brings with it an expectation of a higher standard of behaviour on matters taken up by the Board. Criminal liability arises on non-payment of EPF and ETF dues, etc. The only defence available against this is that all reasonable steps had been taken by the director to establish there was compliance on these matters. The CBSL Corporate Governance Directive requires directors to make informed decisions, and for this a director must understand the business, keep abreast of relevant changes, and be able to ask the right questions. Where doubt persists, the director may formally request independent expert advice on the subject, though he/she is entitled to form his/her own opinion even after obtaining such advice. Often “stupid questions” have led to sound decisions in Boardrooms. The role of the chairman is critical; a good chairman gives directors an equal opportunity to present their case without the fear of upsetting the other directors. The CBSL Directive on Corporate Governance says the chairman should provide leadership to the Board, be primarily responsible for the Board’s agenda, ensure directors are properly briefed, ensure the Board acts in the best interests of the bank, and facilitate effective contributions from non-executive directors. Failure of a director to dissent signifies assent. Abstaining from voting is not sufficient and is not responsible behaviour on the part of a director. The Companies Act provides that directors are personally liable if the company continues to be in business when it is insolvent without being liquidated, unless they have voted for liquidation and can prove it. There have been instances where many banks have acted on this, causing directors to settle bank dues from their own resources. Wikramanayake advised INEDs that before taking up a Board position they must have good knowledge about the company and the other individuals on the Board in order to discharge their duties and responsibilities effectively as independent directors. The discussion that followed was lively and interesting. Responding to a comment that the selection of directors is flawed, Wikramanayake said there was a need for a cadre of independent directors who take their responsibilities seriously. In response to an observation that the legal obligation to dissent was not always understood by the Board, Wikramanayake noted that directors must still express their opinions and ensure their dissent is recorded in the Board minutes, and where a law or regulation is being breached they are obliged to notice the Board and escalate it to the relevant regulatory authority. In Law, directors will generally be judged by the “reasonable person” standard; however, if the director is a subject expert, the standard will be higher. 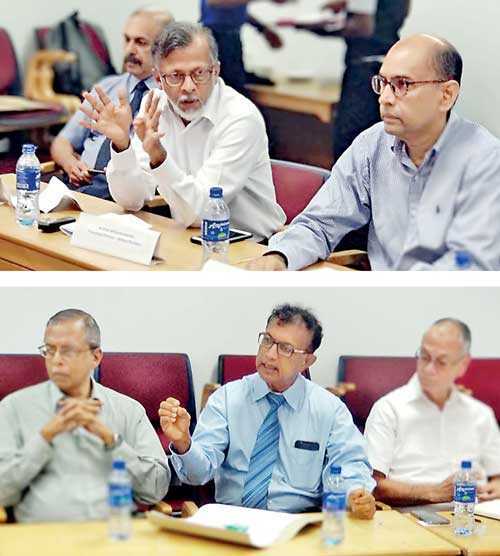 A question was raised: “Where a director feels a breach in due process is imminent, should the director make those views known at the Board Meeting?” Wikramanayake suggested that in such instances the director should take up the matter with the chairman ahead of the Board meeting. Faizal Salieh, concluding the session, thanked Wikramanayake for sharing his extensive knowledge and experience freely with the Forum. He noted that the discussion had opened up other vistas for the Forum to deliberate on. The SLID INED Forum provides a constructive platform for independent non-executive directors in both private and public sector company boards to regularly meet, share and discuss their Boardroom experiences, duties, roles and responsibilities with a view to sharpening their knowledge, skills and effectiveness in the Boardroom and enhancing their individual contribution to the performance and long term interests of their companies. The next session will bring together some experienced company chairmen to consider whether the chair stands in the way of exercising independence in the Boardroom. Independent Directors serving on private and public sector Boards who wish to participate in the INED Forum may contact SLID CEO Chamindā de Silva, on 2301647 and express their interest in attending this session and joining the Forum.